Lethbridge, AB – Nicholas Sheran Arena will be the temporary home of the Lethbridge Hurricanes for the first-round of playoffs as needed. This plan is in place as the 2019 Pioneer Hi-Bred World Men’s Curling Championship is being hosted at the ENMAX Centre from March 30th to April 7th, 2019 with a potential overlap. A total of 1176 seats will be available for the up to three first-round playoff games at Nicholas Sheran Arena through a playoff package draw. Those who who are not selected in the playoff package draw, as well as other interested community members, are invited to attend a free family-friendly community event to watch the games on the big screen, eat and drink, and enjoy some great family programming and giveaways. 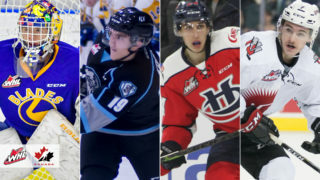 The first-round of WHL playoffs begins on March 22 with the potential of three games being played at Nicholas Sheran Arena, depending on the end of the regular season standings. More information will be announced as they become available. I am a season ticket holder. Does that ensure that I will be able to attend the play-off games at Nicholas Sheran Arena? If I am not drawn for tickets, how can I see the game? Will there be a place I can watch it? 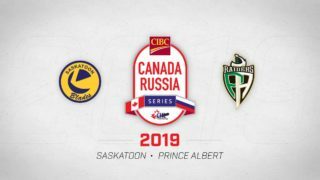 A: We will be hosting a free alternate overflow viewing location/community event for each game being played that will be organized by both the Hurricanes and the City of Lethbridge. The Hurricanes Family Fan Zone will be another FREE location for all our fans to enjoy and view the game. More info on location and details to be added when determined. Why are games being played at Nicholas Sheran Arena and not out of town? A: It was a consideration once we found out that the ENMAX Centre was not going to be available. Once we reviewed all our options and had a number of discussions, it became apparent that we needed to keep it in Lethbridge. Is Nicholas Sheran Arena up to WHL playing standards? 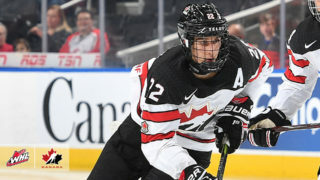 A: ENMAX Centre in conjunction with the WHL and Lethbridge Hurricanes have put together a full plan ensuring Nicholas Sheran meets playing/league standards. Updates/changes include a new acrylic glass and post system, installation of video goal judge cameras, augmented IT and Communication systems, provision of a second ice resurfacer, WHL certified game nets, WHL ice markings, fully serviced dressing room area (special thanks to the U of L for their assistance in this area). Why was curling booked at the ENMAX Centre during WHL playoff time? A: It is always a balancing act finding ways to host as many great events in Lethbridge as possible. The ENMAX Centre will continue to work hard to attract people to Lethbridge through world class sport and cultural events. This means not always being able to choose the time frame, and trying to weigh and manage those opportunities in the interests of Lethbridge. 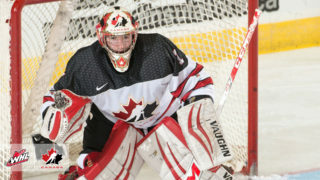 Can the general public buy tickets to the potential games at Nicholas Sheran Arena? A: No, the only way general public can get tickets is if they purchase the playoff package. Are all tickets for Nicholas Sheran Arena free? A: Yes, all seats at Nicholas Sheran Arena will be free. Everyone who attends the overflow viewing party will also be free. The only time that anybody will have to pay to watch our playoff games is if they are played in the ENMAX Centre. Will there still be a 50/50? A: Yes – However we will only be able to run the 50/50 at the Nicholas Sheran Arena because of AGLC gaming regulations. How many fans can Nicholas Sheran Arena hold? A: Nicholas Sheran has 968 fixed seats and 200 standing room tickets. Based off of the WHL regulations we will need to hold back 100 tickets until noon on game day for the visiting team. If the visiting team doesn’t require the held tickets, we will already have the list of people pre-selected to get them based off of the original lottery. What do the players and coaching staff think about potentially playing at Nicholas Sheran Arena? A: Because we are in and out of many different facilities throughout our league over the course of a season, this really shouldn’t affect players or staff. The Nicholas Sheran arena has two USPORT teams that play out of it. Their dressing rooms are very well equipped for the WHL. Will there be enough parking at Nicholas Sheran Arena? A: Steps are being taken to provide maximum onsite parking at Nicholas Sheran Arena (121 of the 133 stalls available), from busing in the hockey teams, coordinating game day & event staff parking at Nicholas Sheran School, to a shuttle service from the U of L.
How many games will be played at Nicholas Sheran Arena? When will the schedule be confirmed? 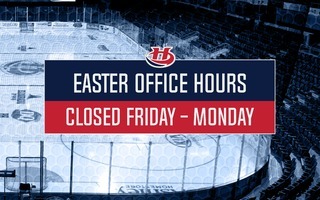 A: We will be out of the ENMAX Centre from Mar 25 – April 8. This time frame runs during parts of the first and second round. Based off how we seed after the regular season, we feel there would only be a maximum of 3 games played at Nicholas Sheran Arena. How long is the World Curling event going to be at the ENMAX Centre? A: The 2019 Pioneer Hi-Bred World Men’s Curling Championship is March 30 – April 7, 2019. Playoff Packages can be purchased if you are a 2018-2019 season ticket holder or commit to season tickets for the 2019-2020 season. For every playoff package purchased by season ticket holders they are eligible to have one entry into the draw for 2 FREE tickets to the games located at Nicholas Sheran Arena. All ENMAX Centre Suites will have 3 entries per suite with the ability to receive up to 6 tickets. All draws will be made in advance for the three potential games located at Nicholas Sheran Arena. Should one of your entries be pulled for the first game, that entry will be withheld from the draw for Game 2 until all the remaining have received their tickets to one of the games. This gives you two entries into the draw. Should one of your entries get pulled for Game 1 you will receive 2 tickets for that game. You would still have one entry into the draw for Game 2. Should all names be drawn once, the remaining will enter the draw again for the available seats in Game 2. There is the potential that you receive more tickets than playoff packages purchased. In that case please ensure they are used by either other season ticket holders, friends or family. There will also be a 50 person waiting list for the 100 tickets that must be reserved for the opposing team should they not be used. These will get released as late as 12 noon on the day of the game. Playoff Packages must be purchased before March 9th, 2019. Packages will be available to be picked up March 13th or later.